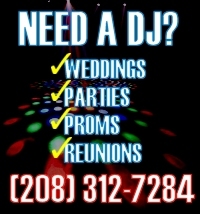 First, THANK YOU for being a member of the Hot 100 FM V.I.P. Club! We'll start calling all over the Magic Valley and asking that ONE important question - WHAT RADIO STATION DO YOU LISTEN TO? If you say "HOT 100 FM!" when we call, you'll INSTANTLY score $25, $50 or $100 - AND you'll be qualified for the grand prize! The calls begin Thursday, September 13th - and to increase your chances of getting a call from us, fill in this information and click "SUBMIT." And - GOOD LUCK, from all of us at Hot 100 FM! DAY PREP – 09/21/17 - Brought to you by D. L. Evans Bank, local Idaho-based community bank since 1904. Serving our communities then, now and tomorrow. The Jerome Sunset Market Street Fair is today from 5 'til 9 at North Park. A great family/community event with good food, amazing music, craft/artisan vendors and kids corner!!! Fun for the whole family!! The Wood River Valley Chamber presents Business After Hours at Wood River Draper Preserve this afternoon from 5 'til 7. September Business After Hours celebrates Wood River Land Trust and the Wood River Draper Preserve in Hailey. You can always count on Wood River Sustainability for the freshest and tastiest food. Beer will be provided by Sawtooth Brewery. Take advantage of the monthly raffle and bring your business card for your chance to win one of several great prizes. Tomorrow, it’s the Hot 100 FM Bleed For The Need. Millions have been affected by Hurricane Irma and Harvey, and this is your chance to DO something to help these people out. From 6 ‘til noon, we’ll be taking donations for requests. Make a donation of five bucks or more through our special link that’ll be posted on the website Friday morning and we’ll play whatever song you want to hear. Then, from noon ‘til six, join us at Canyon Crest for the Bleed For The Need Blood Drive. If you’re donating blood, schedule your appointment by clicking the Bleed For The Need banner at hot100now.com – and if you’re donating cash, simply drop by Canyon Crest Friday from noon ‘til six. All donations throughout the day will go to the American Red Cross, who is mobilizing in regions affected by the hurricanes and providing shelter, healthcare, and support to those in need. This Saturday and Sunday, it’s the 25th Annual Thousand Springs Festival of the Arts on Ritter Island near Hagerman. More than 90 artists will line the park, with exciting new work coming in from out of state as well as many old favorites. A number of interesting history and informational booths along with artisan demonstrators will be on hand! Relax in the beer and wine garden while listening to some great tunes – plus enjoy scenic waterfalls, canoe rides and a ride aboard a horse or mule drawn wagon. Cost is six bucks for adults, five bucks for seniors, and three bucks for kids 12 and under. The festival runs Saturday from 10 ‘til 6 and Sunday from 10 ‘til 5. MAGIC LANTERN THEATERS (KETCHUM): The 28th Annual Film Festival kicks off today at the Magic Lantern Theater. There’s a TON of great movies showing along with the festival. 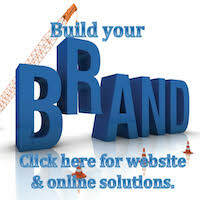 For a full list, CLICK HERE. Question of the Day: Yesterday, I hit the panic button when I visited my pharmacy. I explained to the pharmacist that I had missed a dose of blood pressure meds, and since then I had this headache that I couldn't kick. I pointed to the spot on my head where the headache was most prominent, and he said "Well, I would give it a day or two and if it doesn't subside, I would just go straight to the emergency room - because where you're pointing, if it's not muscle-related, it could be a blood clot." I FREAKED out! Fortunately, the headache went away and now, all is well - but just the thought of going to the emergency room was enough to crash and burn my good mood. For today's question, tell me about your last visit – or even your most memorable visit - to the ER. What happened? Was it for you, one of your kids, your spouse? My most MEMORABLE trip to the ER was when I was a teenager. My sister wanted to look "hip" and have two nose rings. But, she obviously didn't have her nose pierced at age 10, so she tried to put a magnetic earring on each side. The magnet backings attracted INSIDE her nose and shot straight up her sinuses. I can't remember how they got 'em out, but they did - and all was well. But for a short time, nobody knew where exactly the magnets had gone, or how far UP her nasal cavities they traveled. Your turn! (Broc) JOIN THE CONVERSATION ON OUR FACEBOOK PAGE! A woman who has been linked to actor Kevin Hart in an alleged extortion plot held a press conference Wednesday to say that she, too, is a victim. Montia Sabbag faced cameras Wednesday and said she was in an "intimate relationship" with the actor about a month ago and unknowingly photographed in the process. Sabbag said she had nothing to do with a reported attempt to extort money from Hart. In the conference, Sabbag said "I'm not an extortionist. I'm a recording artist and an actress and I've not broken any laws. I had nothing to do with these recordings. My name and my picture have been released and lies written about me." The FBI would not confirm or deny an investigation into the alleged extortion case and the Los Angeles County District Attorney's office declined to comment. In closing the press conference, Sabbag's attorney said "We invite Mr. Hart to join us in bringing the perpetrator to justice." Speaking of cheaters, Laurence Fishburne’s wife, actress Gina Torres, has been spotted with a different man. Photographs of Torres, who starred until recently in USA’s “Suits,” show her kissing a mystery man last week. Torres and Fishburne have been married since 2002, but it seems as if the pair may have quietly split. They last appeared publicly together in December 2015. The man Torres was spotted with has been identified as Kevin Wright, an entrepreneur and solar energy investor from Utah but now lives in Southern California. Wright was married for 20 years and recently split with his wife. A fifth Game of Thrones prequel is confirmed to be in the works, with veteran writer and co-executive producer Bryan Cogman at the helm. Cogman has been working closely with author George R.R. Martin to develop the project, which will join four prequels previously announced this past May. Game of Thrones is set to end its eight-season run sometime in 2018 or 2019; the earliest fans can expect any prequels would be 2019. 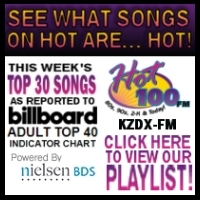 Unless otherwise specified by Radio Station HOT 100 FM (the “Station”), these rules cover routine contests and promotions conducted by the Station. These rules may be amended by separate specific rules for major contests or promotions conducted by the Station or its sponsors. The contest or promotion (the “Promotion”) will take place during the dates and times specified in the official rules of the Promotion (the “Promotion Period”) or as announced on-air. 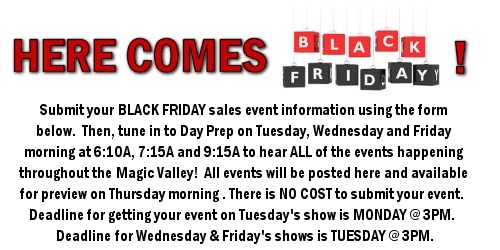 The Station may change the dates and/or terms of the Promotion without prior notice. Any material changes will be broadcast on the Station and, if applicable, posted on its website located at http://www.hot100now.com. 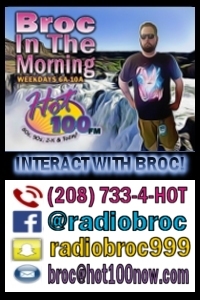 For the official rules of a Promotion, send a self-addressed stamped envelope for receipt by the end of the Promotion Period to HOT 100 FM, 47 North 100 West, Jerome, ID 83338, Attn: Promotion Rules. For the names of the prize winners send a self-addressed stamped envelope for receipt within 60 days following the end of the Promotion Period to the attention of Promotion Winner Lists at the above address. In either case please be sure to specify the name of the Promotion for which you are requesting the rules or winners list. 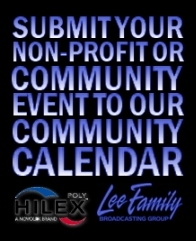 Official rules and winner lists (when completed) shall also be available during regular business hours at the main offices of the Station and may be posted online at http://www.hot100now.com. DAY PREP – 09/20/17 - Brought to you by D. L. Evans Bank, local Idaho-based community bank since 1904. Serving our communities then, now and tomorrow. It's Make It & Take It Kids Club Craft Day today at the Twin Falls Public Library . Kids Club is for kids in grades 1st through 5th. At Make & Take Craft Day, kids do fun hands-on crafts that they can take home. The event gets underway this afternoon at 4. All library events are free and open to the public. The Jerome Sunset Market Street Fair is tomorrow. The event runs from 5 'til 9 at North Park. A great family/community event with good food, amazing music, craft/artisan vendors and kids corner!!! Fun for the whole family!! The Wood River Valley Chamber presents Business After Hours at Wood River Draper Preserve tomorrow afternoon from 5 'til 7. September Business After Hours celebrates Wood River Land Trust and the Wood River Draper Preserve in Hailey. You can always count on Wood River Sustainability for the freshest and tastiest food. Beer will be provided by Sawtooth Brewery. Take advantage of the monthly raffle and bring your business card for your chance to win one of several great prizes. Friday, it’s the Hot 100 FM Bleed For The Need. Millions have been affected by Hurricane Irma and Harvey, and this is your chance to DO something to help these people out. From 6 ‘til noon, we’ll be taking donations for requests. Make a donation of five bucks or more through our special link that’ll be posted on the website Friday morning and we’ll play whatever song you want to hear. Then, from noon ‘til six, join us at Canyon Crest for the Bleed For The Need Blood Drive. If you’re donating blood, schedule your appointment by CLICKING HERE – and if you’re donating cash, simply drop by Canyon Crest Friday from noon ‘til six. All donations throughout the day will go to the American Red Cross, who is mobilizing in regions affected by the hurricanes and providing shelter, healthcare, and support to those in need. Everyone remembers the piece of video that surfaced during the Presidential campaign where President Trump was recorded on a tour bus describing the things you can do with, or TO women when you're famous, right? The guy who the then-reality TV star, now-President was talking to was Billy Bush, who was at that time a host for Access Hollywood. And yesterday, news broke that after almost 20 years of marriage, Bush and his wife Sydney Davis are separating. In a comment to People magazine, Bush’s lawyer said “I can confirm they are now separated and on a short-term break.” The controversial video that some thought would cost Trump the presidency did nothing of the sort to Trump - but DID cost Bush his job as co-host of the Today show. Apparently, things have continued to roll downhill for Bush, who has yet to comment on the split. Avril Lavigne is now the most dangerous celebrity to search for online, according to the cybersecurity company McAfee. The singer-songwriter topped McAfee's Most Dangerous Celebrities study this year. The report reveals which celebrities generate the riskiest search results that could potentially expose their fans to malicious websites. McAfee says cybercriminals use the fascination of consumers with celebrity culture to drive unsuspecting users to potentially malicious websites that can be used to install malware, steal personal information and even passwords. According to McAfee, searching for "Avril Lavigne free mp3" results in a 22% chance of encountering a malicious site. Bruno Mars came in at number two on the list this year. Fox News announced Monday that the network is hiring Laura Ingraham to host a nightly commentary show. Ingraham's program will air at 8 o'clock weeknights, following shows hosted by Tucker Carlson and Sean Hannity. Ingraham has been a fixture on Fox News since 2007, when she was hired to do a weekly segment called "The Ingraham Angle" on the O'Reilly Factor. Her first day on the air in the new timeslot will be October 30th.